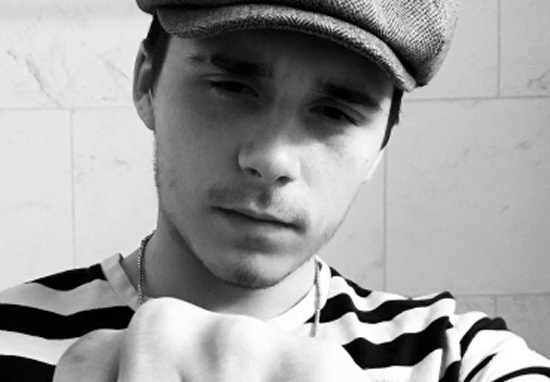 Aside from pinpointing his favourite sepia tones, shaving stripes in his eyebrows, and taking outstandingly mediocre photos, Brooklyn Beckham also enjoys getting the odd tattoo. His most recent ink has puzzled fans and left them questioning the meaning of the mysterious number seven that sits on his fourth finger. This is Brooklyn’s seventh tattoo if my calculations of his body inks add up (something I spend a lot of time on). Maybe the reasons is just as basic as that. It’s his seventh tattoo. …Nah he wouldn’t be that silly. 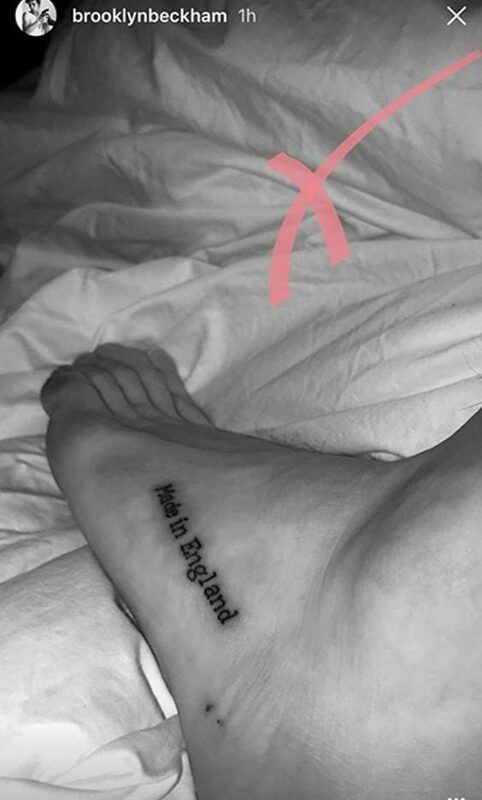 Oh wait, remember when he got ‘Made in England’ tattooed on his foot despite being named Brooklyn because he was, you know, made in Brooklyn, New York! The eldest of the Beckham siblings made the embarrassing mistake in August, much to the delight of the Internet who revelled in the opportunity to remind Brooklyn where he was made. So aside from the seventh tattoo theory which I think is too basic for the edgy mind of the 18-year-old photographer, there are a couple of other hypotheses being aired in the comments section. The first is that the tattoo is in the name of his little sister Harper Seven, which would be quite cute really. Another theory is that the number is a homage to his dad David Beckham whose shirt number was seven during his legendary career with Manchester United. While plenty of others asked Brooklyn what it meant and if it was anything to do with his dad. David Beckham actually has the numbers 723 tattooed on his hand representing the shirt numbers he became famous for. The Beckham’s haven’t had a lot of luck with tattoos. His dad got Victoria’s name tattooed on him in Sanskrit not realising that it was spelled wrong. What ever happened to a good old spell and fact check before you get something etched into your skin forever? Who knows what it means? He’s an enigma wrapped in a mystery. Either way I’m sure we’ll be seeing plenty more black and white images of it from different angles.